The October meeting of GFWC Greater Ocala Woman’s Club (Florida) was focused on Breast Cancer Awareness Month. They were extremely honored to host two guest speakers. Dr. Wingard, Deputy Director of cancer research for the University of Florida spoke about ongoing cancer research programs. He emphasized that many people in their region don’t seek cancer treatment early enough, so new programs are being established to reach people sooner. 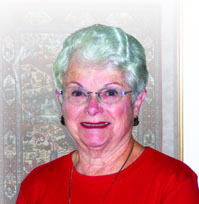 Their second guest speaker represented All About You, a women’s boutique specializing in post-breast surgery aides. Lori Timmreck spoke about the compassion and products her boutique offers, such as custom breast prostheses. She said many breast cancer patients smile for the first time after their surgery because of the services from this boutique. Of course, not all was solemn at the meeting. There were occasion-inspired cookies and origami bookmarks. 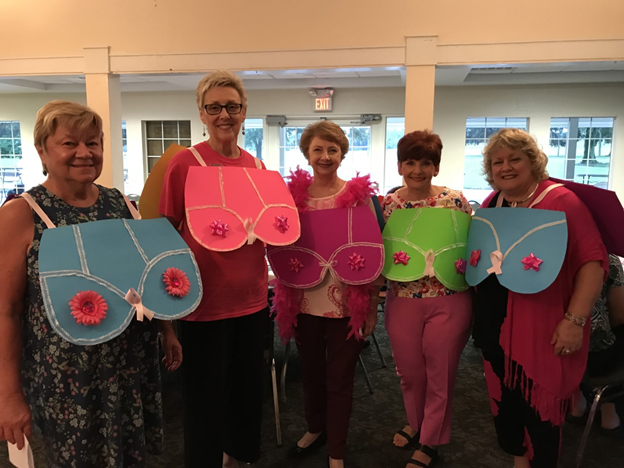 The hosting committee greeted members by wearing cardboard sandwich breasts, which Dr. Wingard found hilarious and said it was a first for him. 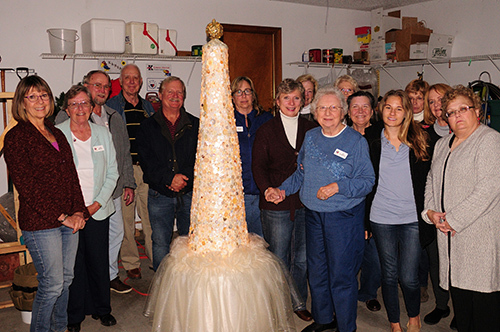 GFWC Potpourri Glenwood (Minnesota) had a fundraiser with an added benefit! 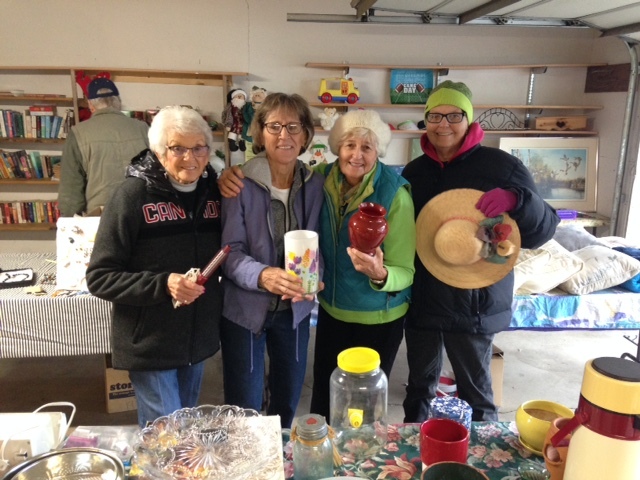 They held a garage sale of donated items for local charities and it was a big success despite cold weather. Over $980 will be given to community needs, and the added benefit is that one of the shoppers thought she’d like to be a part of the club and she joined! Pictured: Colleen Gandrud, Judy Golberg, Darlene Femrite & Carolyn Rust with some interesting sale items! 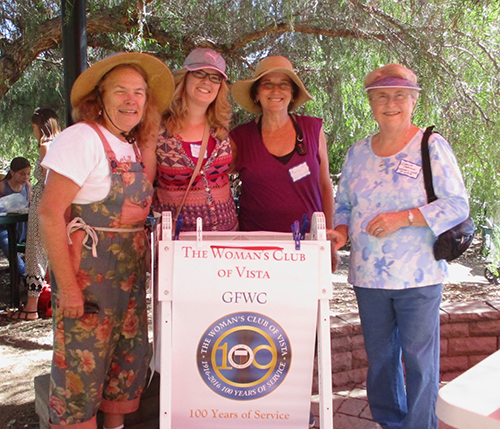 The Woman’s Club of Vista (California) helped put on the tenth Fall Fun Festival, a free event for the community at the Alta Vista Botanical Gardens. They sponsored scarecrows and contributed clothes and bling for the scarecrows to wear for the scarecrow contest. Club members helped families create the scarecrows and helped judge the contest. The event brought in 540 visitors and 50 student volunteers!